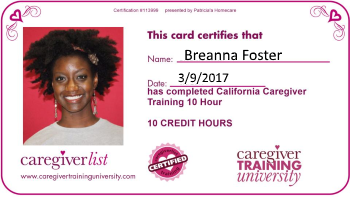 Enjoy a fulfilling career as a senior caregiver assisting the elderly with one-on-one care in their home, in nursing homes, assisted living communities, hospices and hospitals. Senior Caregivers are hired for part-time, full-time and live-in positions. Flexible schedules are available for weekday, weekend, evening and over-night senior caregiving assignments. Longwood CNA jobs offer the best flexibility and lifestyle of any professional occupation today. There are many Longwood jobs in CNA for you to choose from.